Not only babies play with their toes. What does it really mean to stand on our own two feet? Until I sustained an injury walking El Camino de Santiago, I hadn’t given much attention to my feet, except to lament their rather large size. In our culture, we typically wrap our feet in shoes during autumn and winter and bare them, to various degrees, in spring and summer. Some women (and men) might treat themselves to a pedicure or occasional foot massage. For most people, that’s the extent of having positive regard for the feet (in our odor- and beauty-obsessed culture, it’s easy to see feet purely as stinky, ugly appendages). 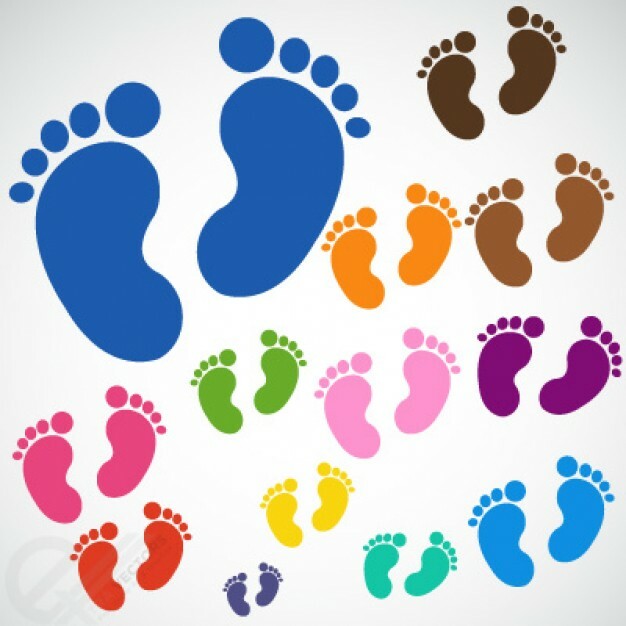 That feet are encased or enclosed much of the time limits their ability to sense and stretch; often, the four smaller toes act as a single unit, essentially glued together. For people who don’t spend much time in nature, where surfaces range from squishy to rocky and require different foot and ankle positions, walking primarily on pavement and manufactured floors curtails the range of possible movement. Someone unaccustomed to navigating uneven or differently textured surfaces might lose their footing more easily than a person who has given their feet more terrain to explore. When a person is considered holistically, rather than as a collection of discrete parts, it makes sense that if something is not working well, even a single toe, it will affect the rest of the system. By that measure, I had been missing a large chunk of my personality until last fall, when I finally differentiated my left pinky toe from its neighbor. When my injury (tendonitis) was at its most severe, I couldn’t walk very far without pain, and being on my feet for long periods also created intense discomfort. That I literally could not stand on my feet, let alone do much aerobic exercise, precipitated periods of despair. It was as if my spirit hobbled on crutches, sabotaging efforts to stand on my own two feet in less literal ways. How will directing attention to my feet, to facilitate the movement of all my toes, restore more of my personality? It sounds a bit far fetched, it not magical. But that is the beauty of practicing awareness: regardless of where and how one starts, awareness expands. Spending time becoming more intimate with how my toes connect to, and interact with, the rest of me, will probably facilitate getting to know my whole self better. Greater awareness of how I move will generate more awareness of how I operate, generally, and of which parts of myself, like my toes, I’ve either neglected, covered or deodorized, reluctant to show the world. To stand on our two feet, then, means to exclude nothing, not even the tiniest or stinkiest of toes or aspects of ourself we’ve wished to hide. This year I wanted to learn about minimal running shoes, finding out that they should not be used unless your feet were reasonably strong and flexible. This sounded interesting, so I set about the recommended exercises. A two-day ATM workshop on feet was particularly helpful: ever since I have been far more aware of the texture of what I walk or run on. Last week I went for a run bare foot on grass – the first time since childhood. Wow! Very rich sensations including great sensitivity to gait changes. Not everybody would enjoy this, but for anybody who enjoys running it is a great way to develop your body and feel better connected to the ground. Fun, free and not fattening. Good for you! “Rich sensations”…makes me tempted to try.